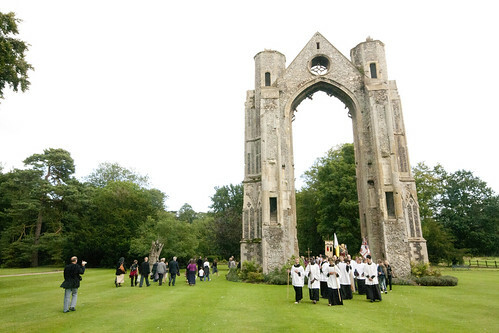 The is your last chance to sign up for the LMS Pilgrimage to Walsingham, which takes place from Friday 23rd to Sunday 25th. In a word, we'll walk from Ely 55 miles or so to Walsingham, in the footsteps of our Catholic predecessors, praying, singing, attending the Traditional Mass, in the company of our great Chaplains, a number of seminarians, and upwards of 70 fellow pilgrims (bigger than last year!). 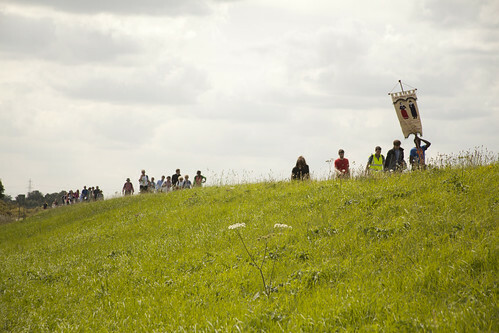 Get yourself a pair of walking boots and a tent, if you've not got them, and sign up today! We want to draw the shutter down on bookings this weekend. Don't delay!